When you're a property manager, the maintenance requests, work orders and property turns never stop. Fortunately, neither do we. Homee lets you streamline the process and easily manage multiple maintenance tasks from start to finish. 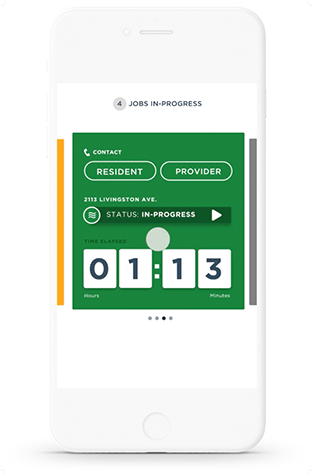 Renters submit their service requests in the app, giving you the opportunity to approve or decline in an instant. You can also review the full details of the request for more information. Renters include a description of the problem along with photos or video so you have the benefit of reviewing requests in full context and making informed decisions prior to approving any work. With one touch, you can easily set limits on labor and materials. 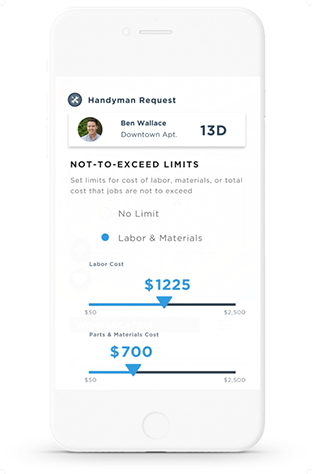 Renters use Homee to schedule approved work at their earliest convenience. The work is tracked down to the minute, and payment is handled securely within the app. 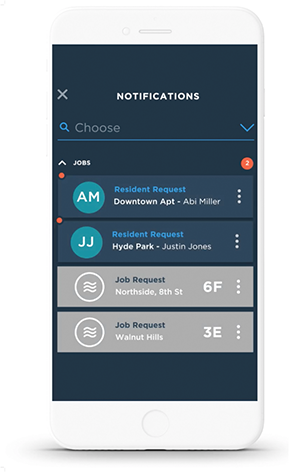 With the Homee app, you can easily monitor and manage multiple jobs simultaneously, whether they’re happening in one location or across multiple properties.